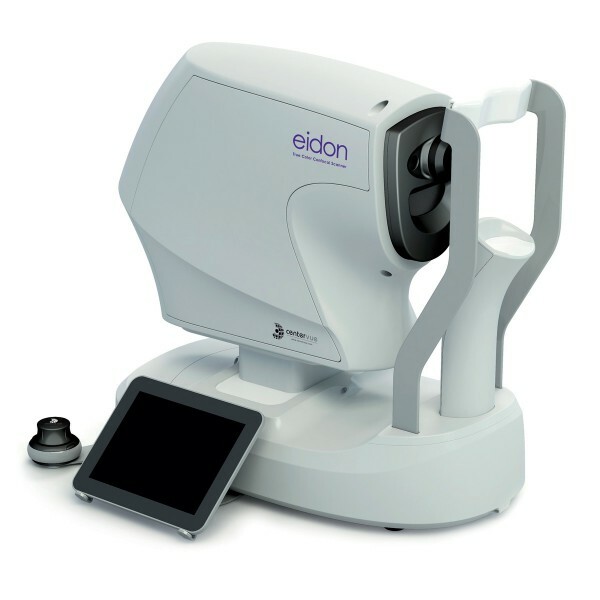 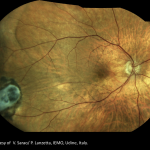 EIDON is the first system to combine the advantages of SLO with the fidelity of true color imaging, setting new performance standards in retinal imaging. 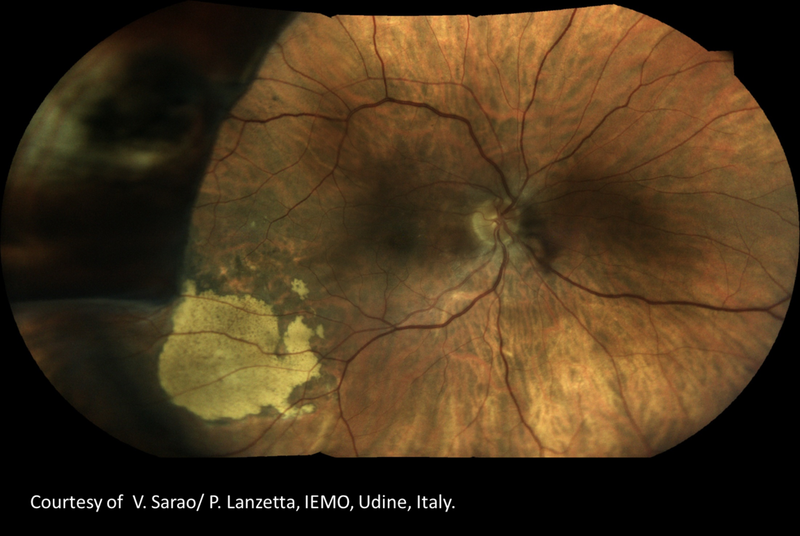 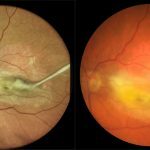 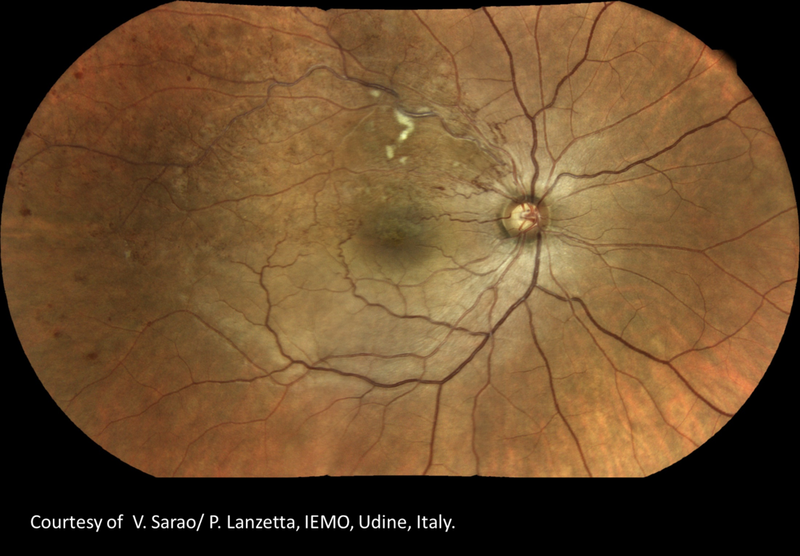 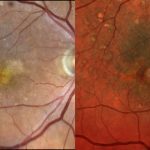 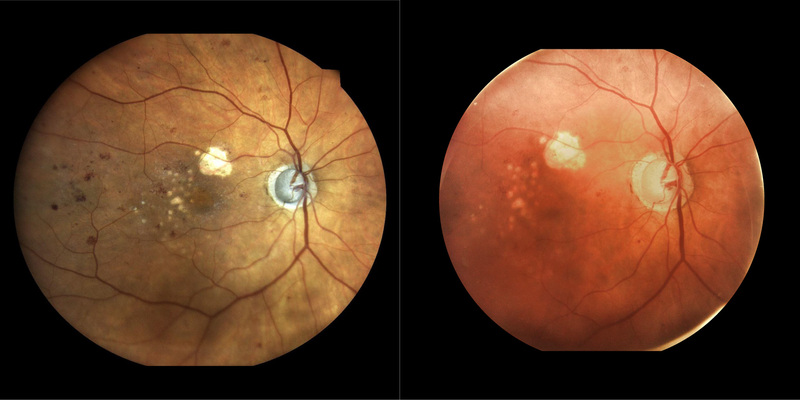 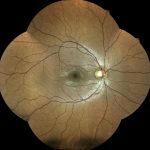 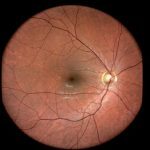 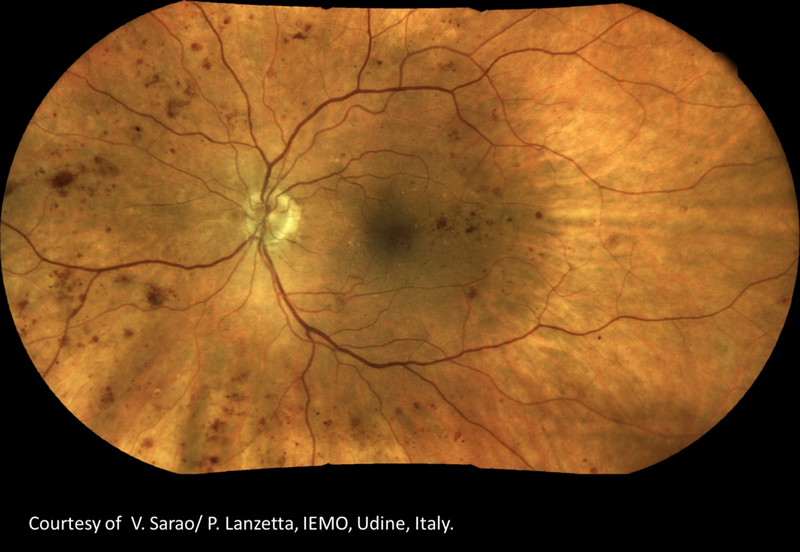 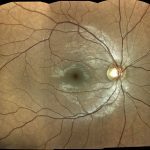 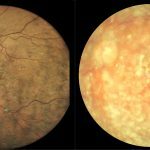 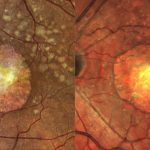 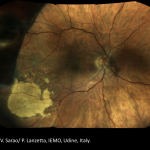 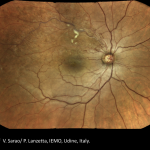 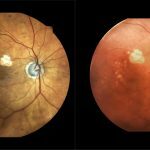 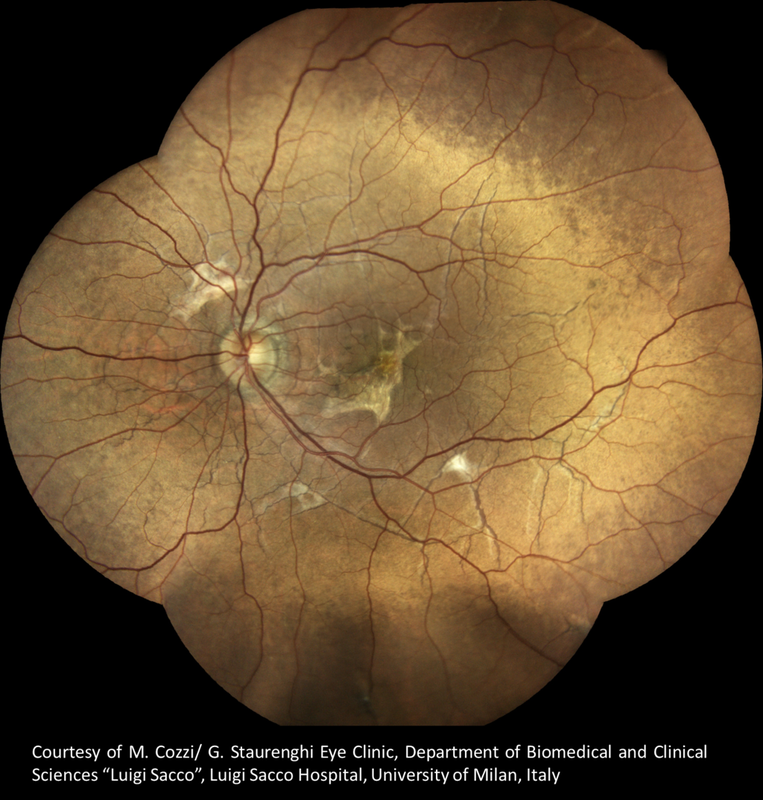 EIDON provides unsurpassed image quality, 60° field in a single exposure, a unique, live, confocal view of the retina, three different imaging modalities and dilation-free operation, all integrated in a versatile system that provides new opportunities in retinal diagnostics. 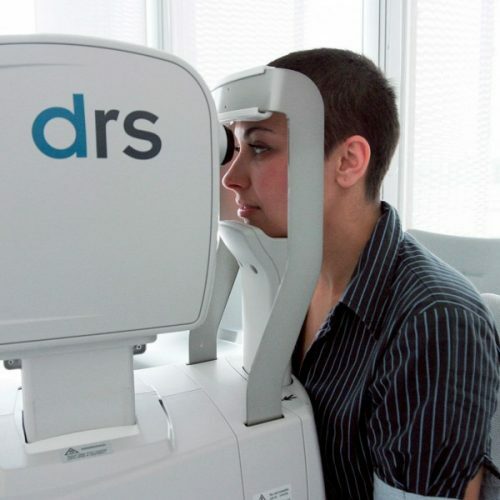 Extreme ease of use: patient auto-sensing, auto-alignment, auto-focus. 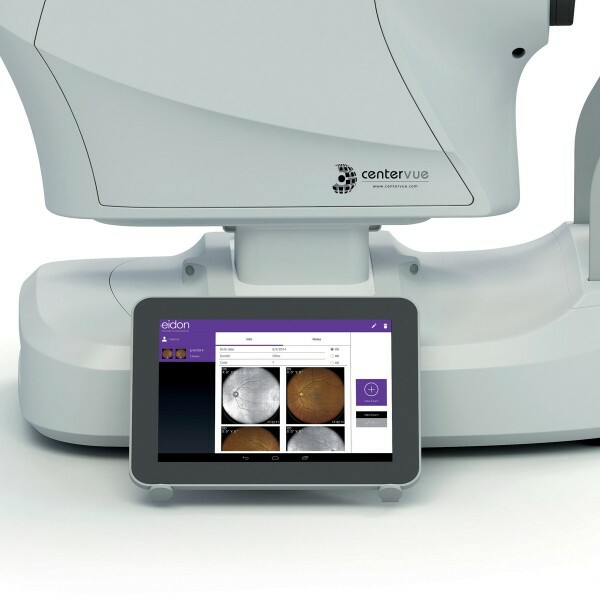 All-in-one compact design, no additional PC required (Small footprint) standalone operation. 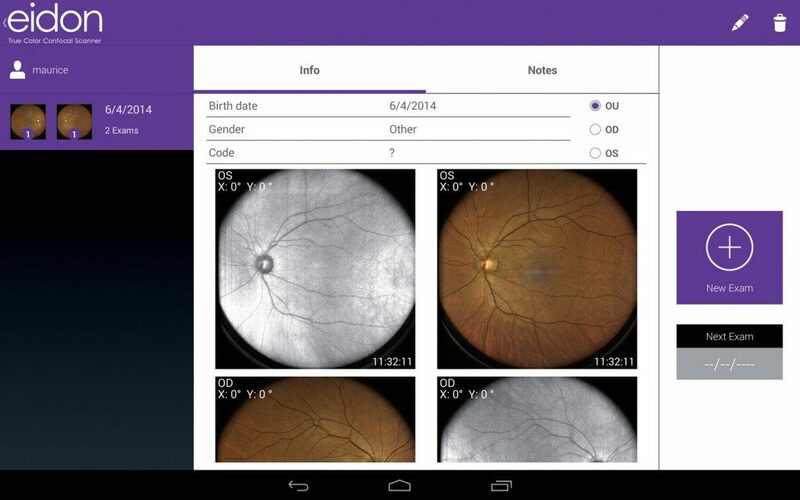 Local storage of Patients information and images. 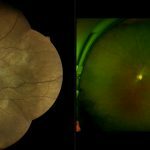 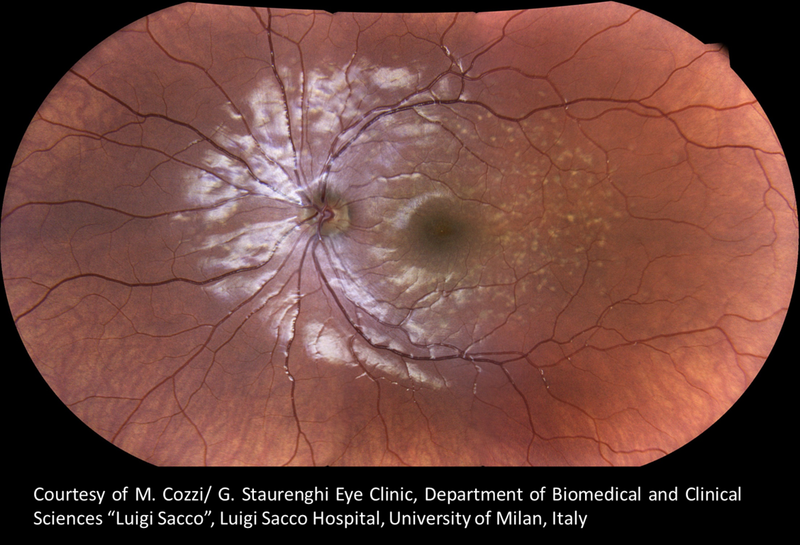 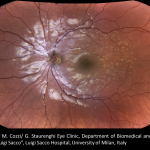 SLO systems are superior to conventional fundus cameras in many ways, as they exploit a confocal imaging principle which limits the effect of backscattered light from deeper layers and provides enhanced image quality. Another major advantage of SLO systems is that they operate with much smaller pupils than conventional fundus cameras. 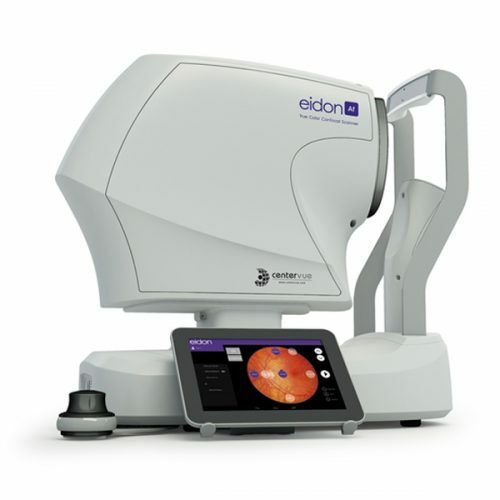 Eidon, being a confocal optical system, is able to perform high quality retinal images: increased sharpness, better optical resolution and greater contrast when compared to traditional fundus camera imaging. 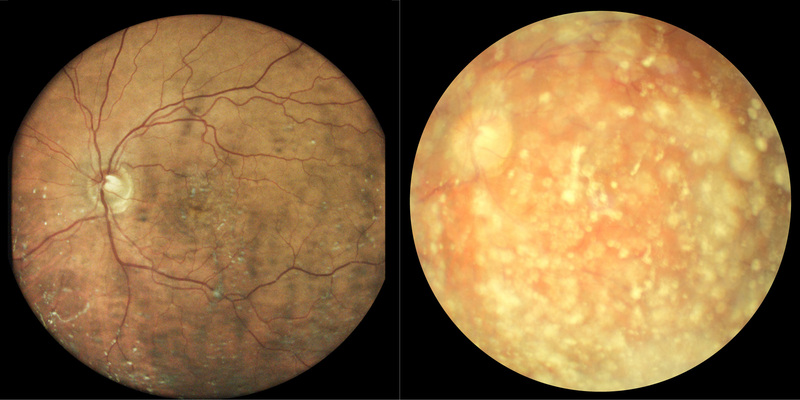 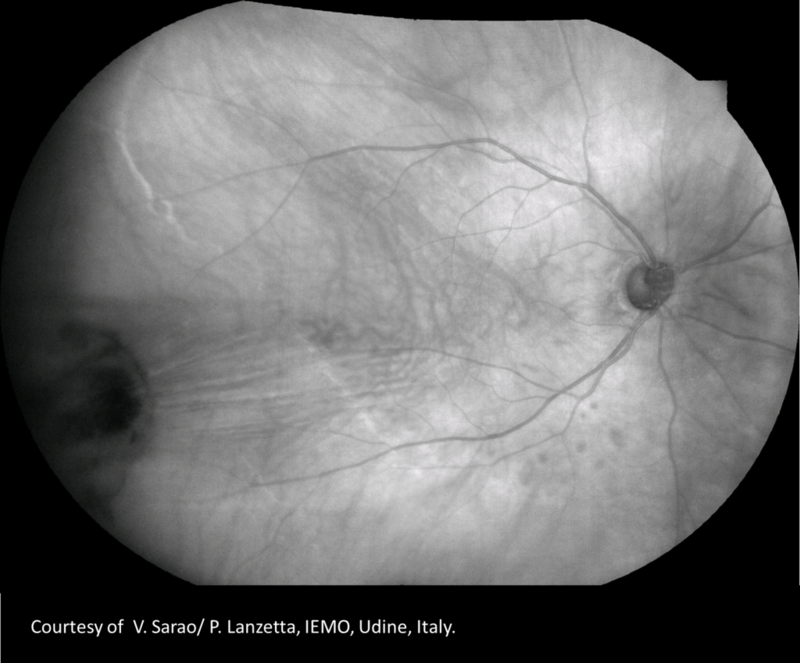 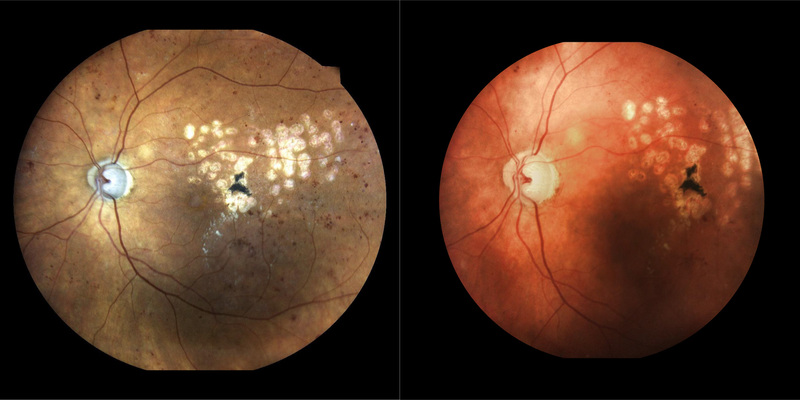 This technology captures retinal images of preserved quality even in cases of media opacity. 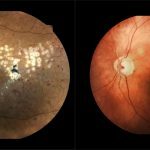 TrueColor Imaging: What you see is what it is! 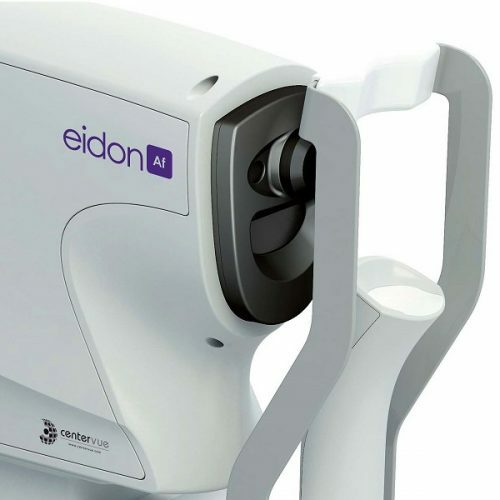 Differently from existing SLO systems, EIDON is a scanning ophthalmoscope that uses WHITE light instead of monochromatic lasers, hence providing true color imaging and offering major benefits in terms of fidelity to real retinal appearance, no distortion and dilation-free operation. The unique combination of confocal imaging and white light illumination offers superior image quality and color fidelity. 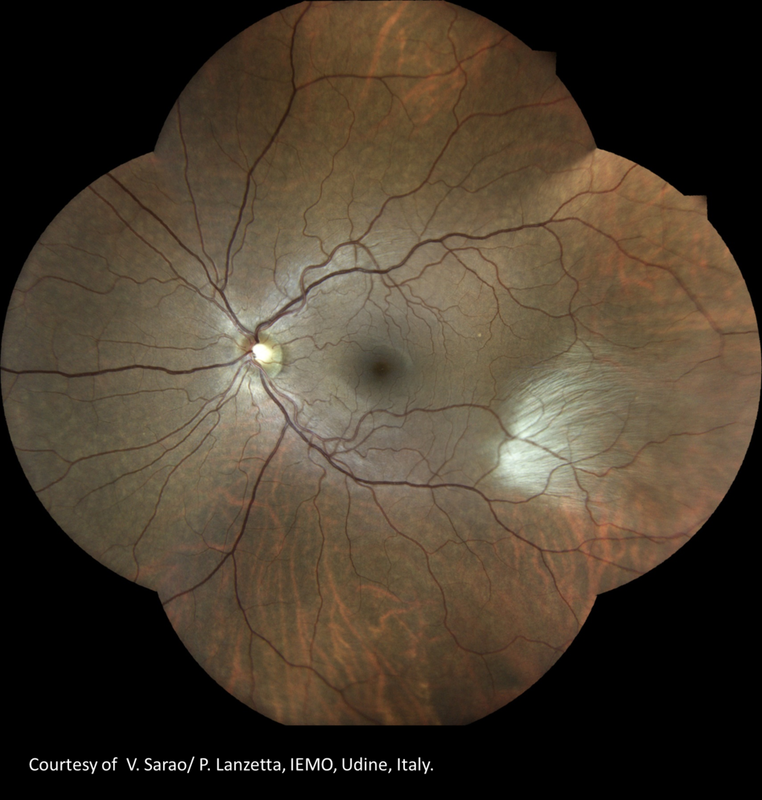 Using white light, the retina appears as it looks when directly observed, so as the entire visible spectrum is present in the captured image. 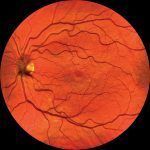 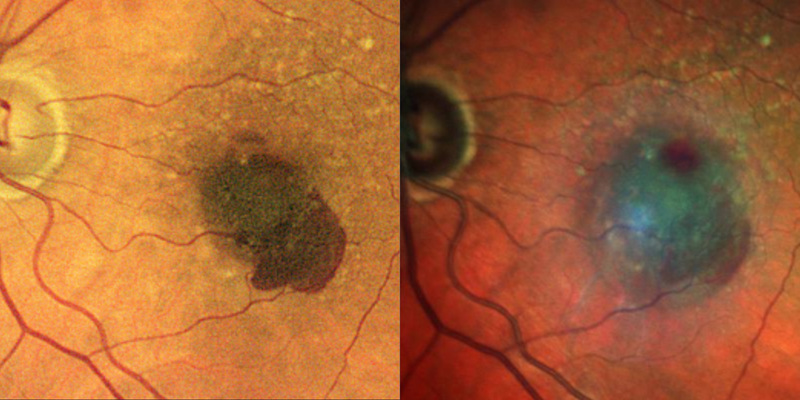 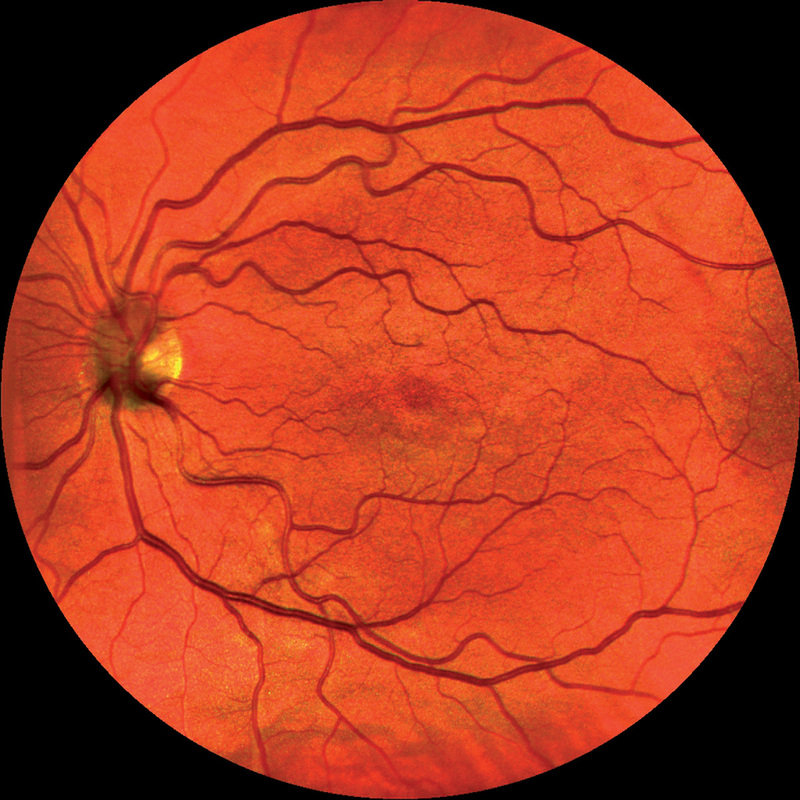 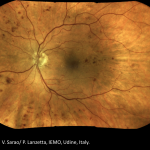 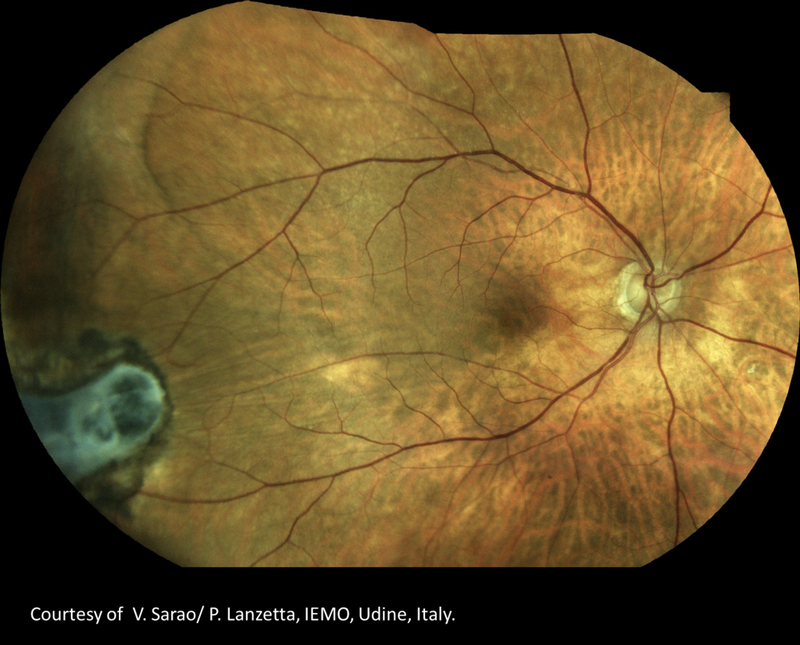 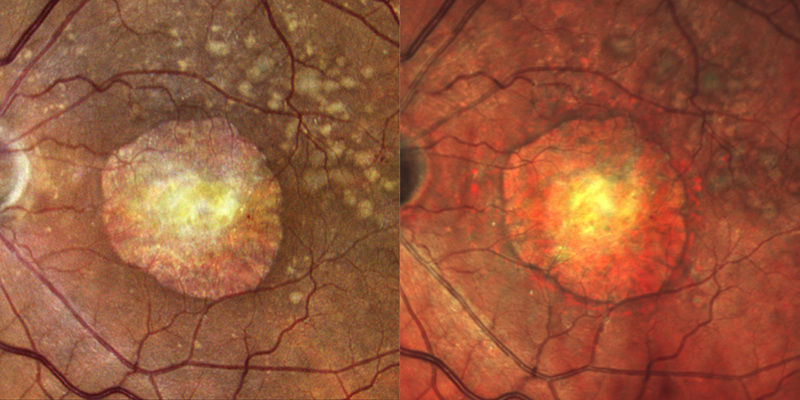 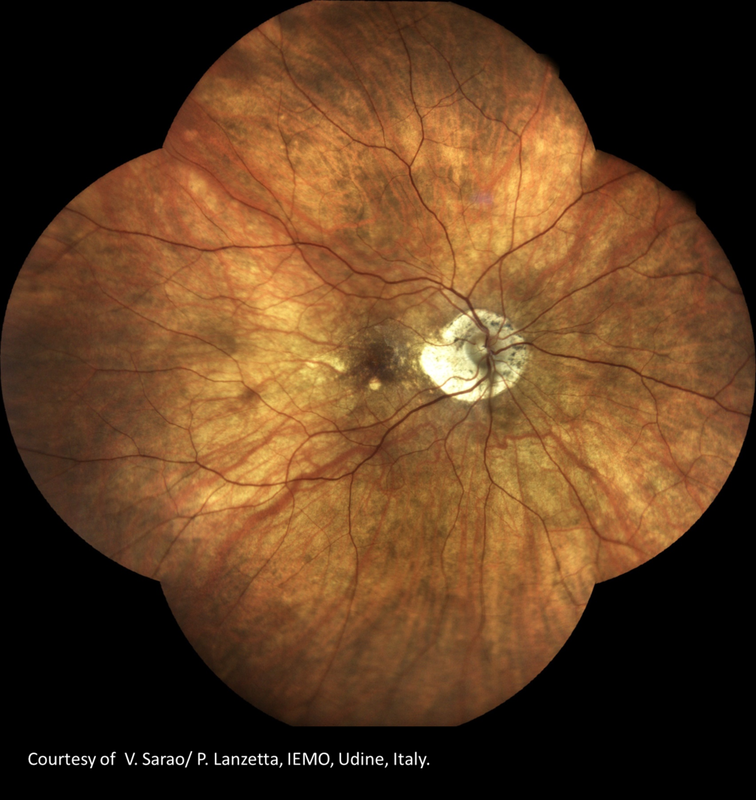 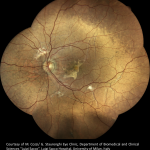 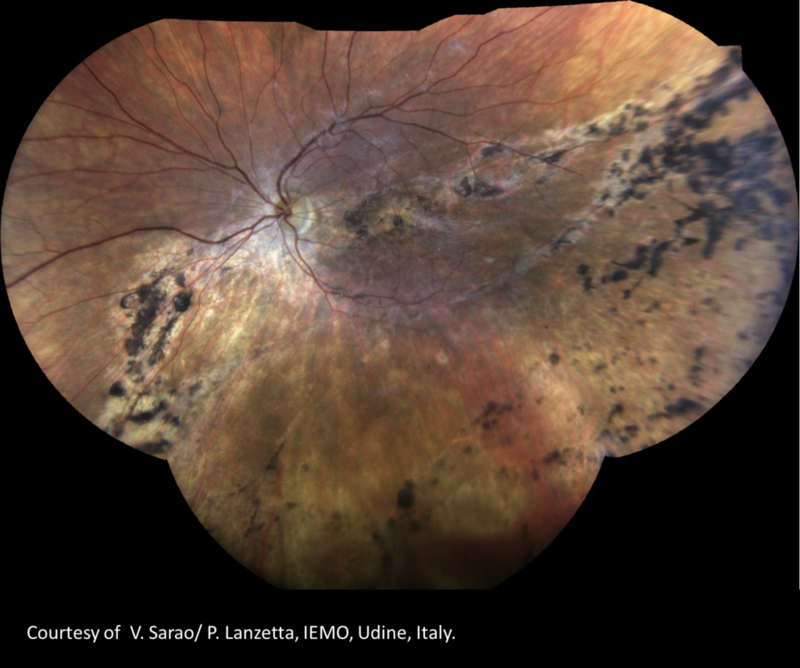 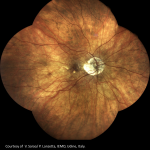 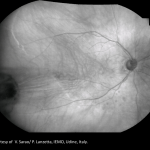 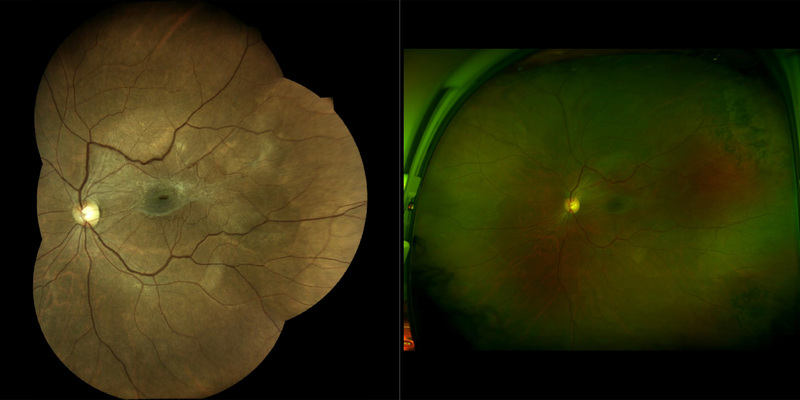 Wide field optics allow imaging the central retina as well as the periphery. 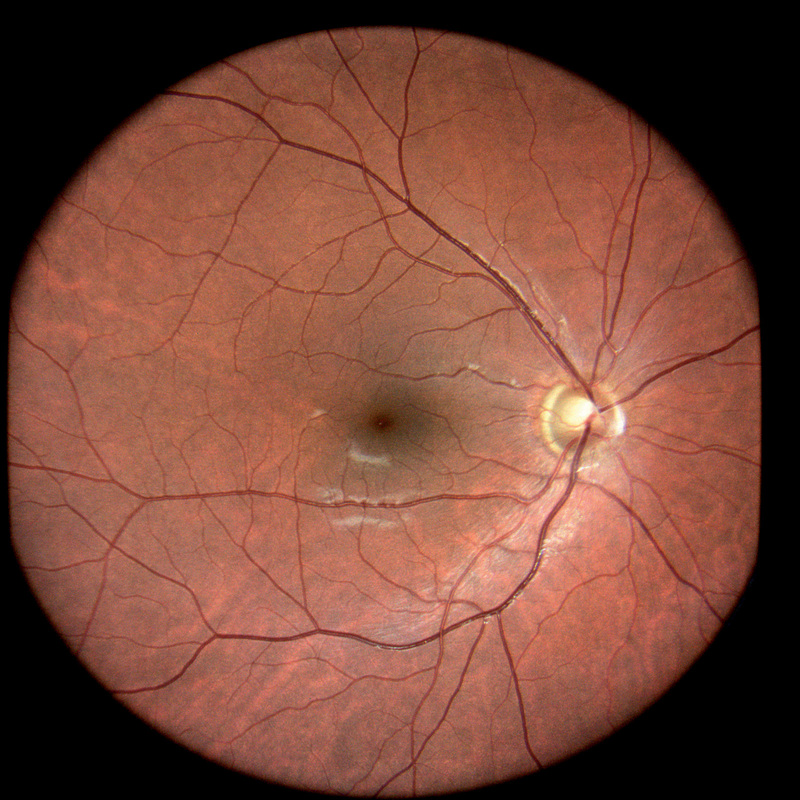 Infrared, live viewing of a wide field (out to 110°) is possible using the programmable internal fixation target. 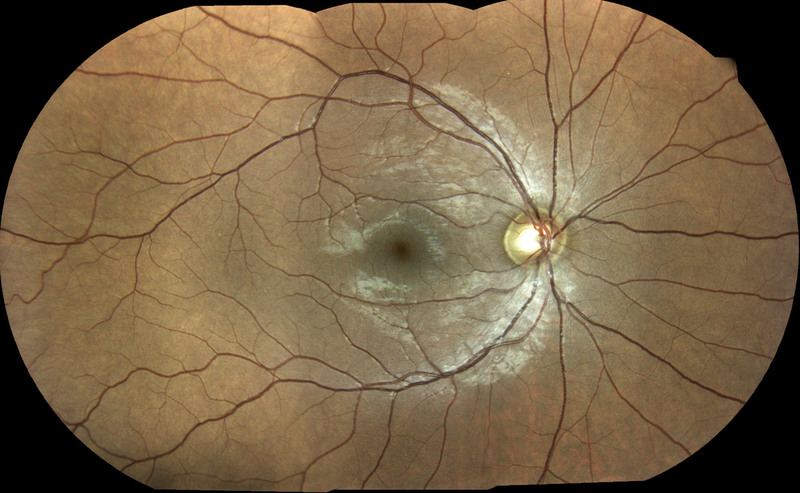 Fixation target can be displaced directly on the touch screen to frame different fields. 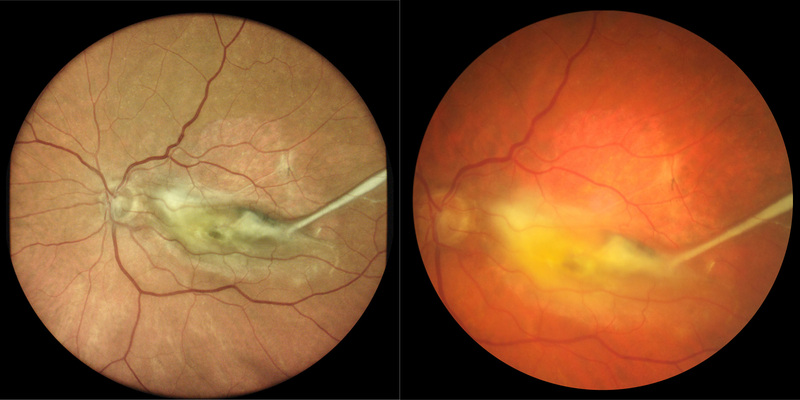 An external fixation target is provided, for use in the counter lateral eye: 150° can be reached in manual mode. 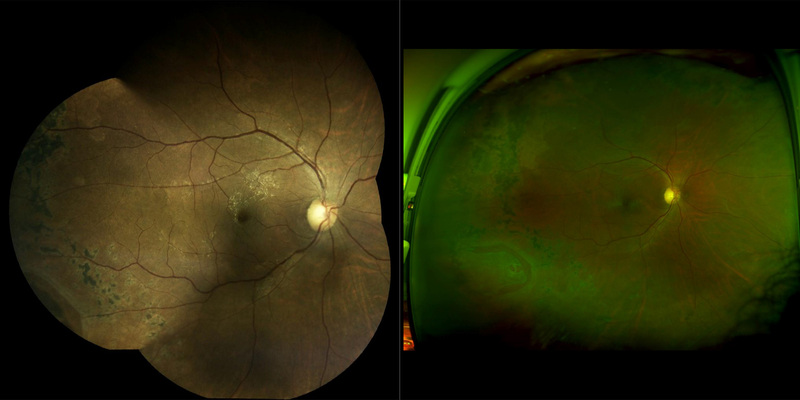 LED flash technology guarantees maximum patient comfort as it uses a low power light source. 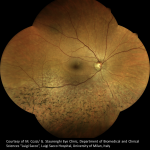 This in turn reduces pupil constriction and facilitates the test on non-cooperative subjects. 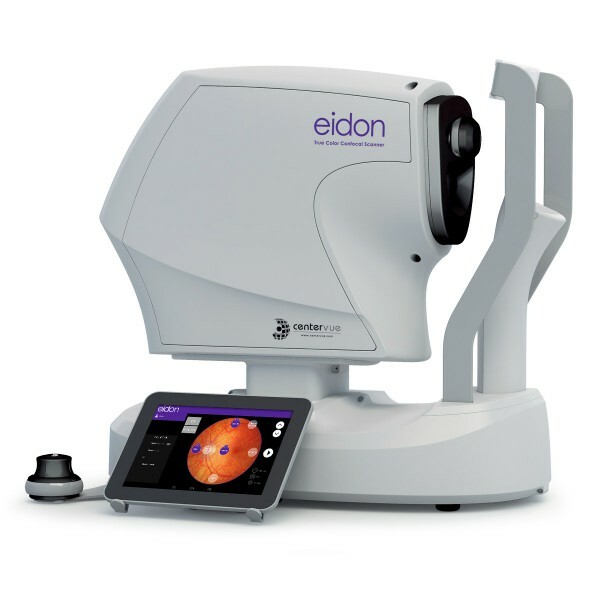 Dr. Siegel presents EIDON and it is a game changer in retinal assessment. 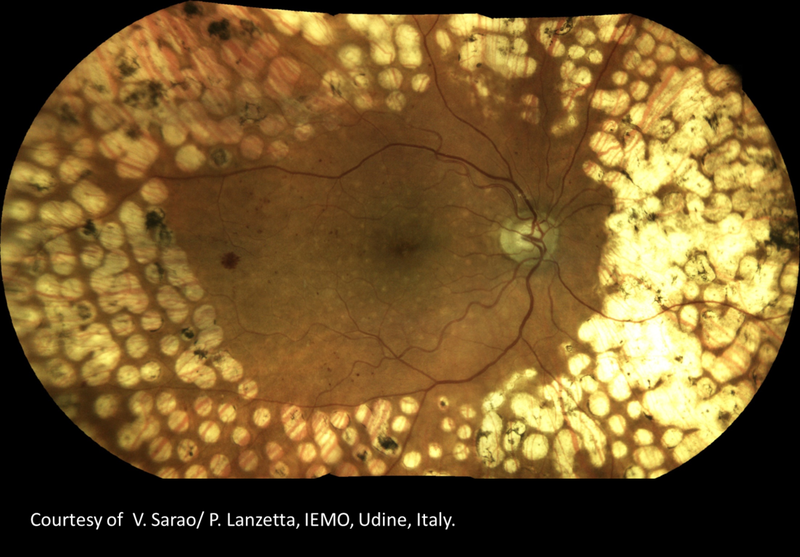 Dr. Gerson discusses how the EIDON Wide-Field True-Color Confocal Scanner sets a new standard in retinal imaging. 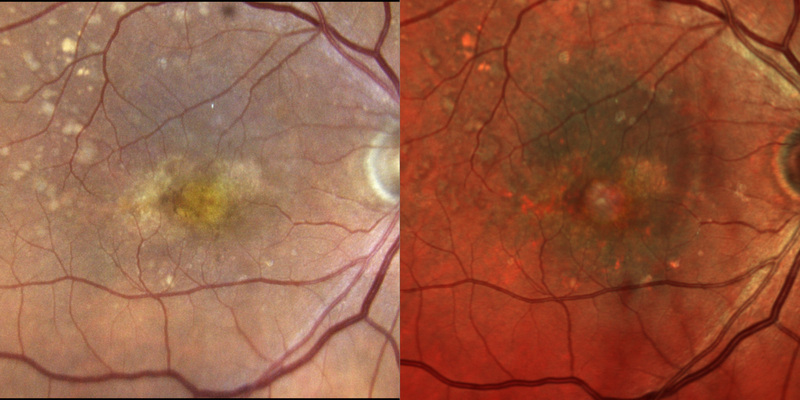 Dr. Tyson explains how EIDON wide-field imaging enables unprecedented true-color retinal evaluation and an expedited patient workflow. 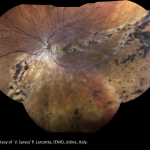 Dr. Steven G. Ferrucci, OD, reports his experience with EIDON True-Color Confocal Scanner. 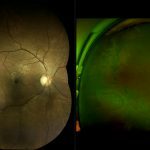 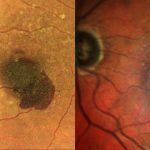 Farrell C. Tyson, MD, reveals how the EIDON Confocal Scanner is able to deliver the sharp, clear images that physicians desire in true retinal color. 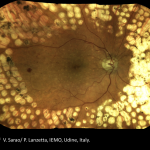 Farrell C. Tyson, MD, describes the image quality and expediency of the EIDON True-Color Confocal Scanner, showing how EIDON produces high fidelity, detailed images in even the most complex patients. 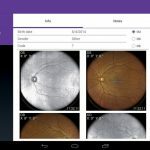 He explains the science behind EIDON technology and how the system expedites his office workflow.